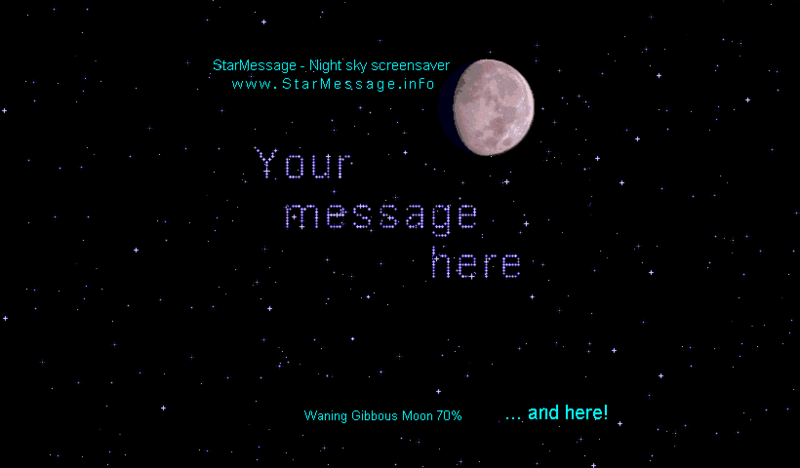 The StarMessage screensaver shows the current moon phase, inside a highly realistic presentation of a starry sky. You may leave a series of short messages on the screen, and the stars will move around to form the messages. A scrolling message can appear at the bottom of the screen as well. Finally, it does not forget to protect both your screen and your eyes by using low intensity background graphics.Installation and removal is very easy. The 3D Alien Aquarium Screen Saver for Windows features a fantasy undersea aquarium which is home to a host of strange alien creatures. Matrix screensaver is legendary screensaver that emulates green matrix code on your screen. Green characters are running vertically down in columns on the black background. If you want to see what is inside the matrix this is your screensaver. Lake is a new screensaver of nature from a collection of new free screensavers from http://www.newfreescreensavers.com. The audio is the sound of calm water and birdsong. No spyware, no adware, virus-free. It's safe to install and run.